The Hunter Valley is a good spring thing to do for the warmth of the welcome at the wine cellars, the elegant whites and the beautiful countryside with flowers coming into bloom and the Aussie wildlife. A Hunter Valley tour can be a good compromise if there is no willing driver to take you. 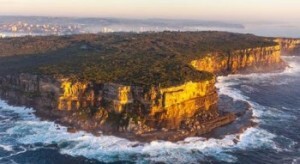 A visit to Sydney’s North Head is well worth the admission fee alone (it’s free ) and has fabulous views, history and the Sydney Harbour National Park to explore. What is less of a certainty is a visit to the Q-Station (which takes a big bite out of North Head) is worth it. There is plenty to see at North Head without bothering with the Q-Station but if you are into history, don’t mind the fee and have the time go for it. Follow the link below for more information. This may seem like a little less than a thrilling suggestion but think back, when was the last time you rode on a ferry and didn’t you think at the time; ‘I should do this more often’. Ok, so where to? How about a harbour island? There are a few to choose from. Cockatoo has the most amount of things to do but each of the islands have their attractions. Follow the link below for more on a spot of Harbour Island Hoping. The Archibald, Wynne and Sulman Prizes is a popular long weekend thing to do as the paintings are engaging and thought provoking. This is no ordinary stroll through the gallery. The eyes might be what capture you or the amazing use of colour. You find more life to these paintings than their subjects. As if the portraits weren’t enough you can also be calmed by the some of the best landscape paintings around or be impressed by some incredible sculptures. It’s all under one roof at the Art Gallery of NSW, don’t miss it. Sydney100 has always listed a number of Sydney’s top markets. In addition to the old favourites, many new markets have sprung up around town. An award winning local market guide has been set up to keep us all advised of what’s happening. Consequently we have added them to the list as a catchall for any markets worthy of a listing. You might feel the need to escape the big smoke for a day or few. A treasure troth of top things to do awaits just north of Sydney. Perhaps South is the go. Kangaroo Valley has an almost English countryside look to it (somewhat appropriate given who’s Birthday it is) mixed in with gum trees and Aussie bush. The civilised Fitzroy Falls is also well worth a visit. The beautiful coastal scenery of Jervis Bay invites exploration and just north of the Royal National Park you will discover one of Australia’s great coastal drives. There’s more to do in Sydney in October. Just follow the link below for Sydney’s top events and festivals held in October. Many of the top things to do in Sydney can be done during the Labour Day Holiday Weekend. Just flick through the list and see what grabs your fancy. You may also find more useful information by clicking the links at the foot and the beginning of this page.